In a horrific hit-and-run incident, a man was killed in Telangana's Mahbubnagar on 19 September after he was hit by a Chevrolet car. The deceased has been identified Srinivasulu, a 38-year-old labourer. He was crossing the road when he was hit by the car. Srinivasulu was flung onto the roof of the vehicle from the impact of the accident. Instead of stopping, the driver accelerated and sped away, with the body on the roof of the car for around 3km, NDTV reported. "We received information that a car carrying a dead body on its top was going towards Hyderabad," a senior police officer told NDTV. Residents chased down the driver, who escaped and left his car behind. 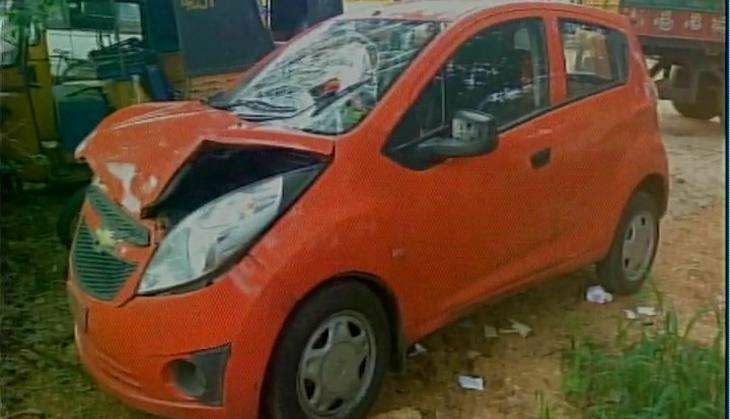 According to the report, the car belongs to Hyderabad industrialist, Kistapati Chandrakala.